Ukraine switches to daylight saving time at 3:00 a.m. March, 31. 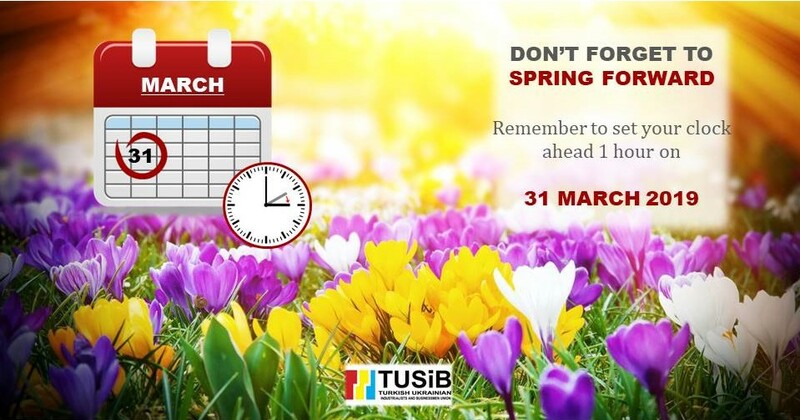 Don’t forget to spring forward, remember to set your clock ahead 1 hour on. Since 1981, in order to save energy, the clock is switched to summer and winter time. More than one hundred countries of the world use this system.